This course is designed to educate your employees in fire safety and give them a greater awareness of the types of fire extinguishers on your premises, how to use them safely and what types of fires they can be used on. 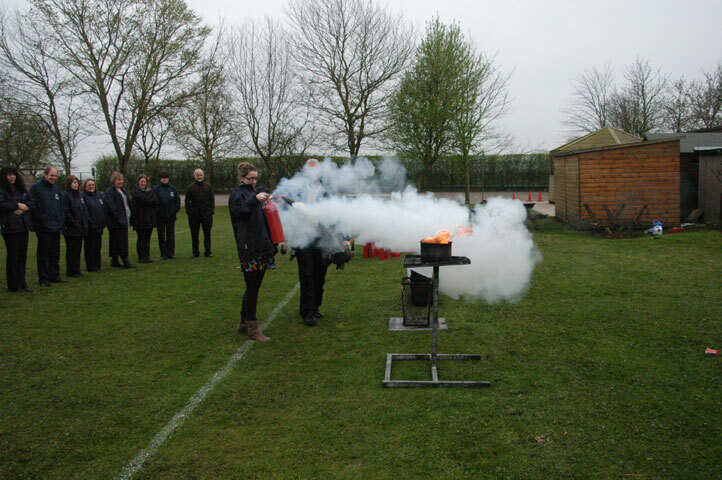 Building on the fire awareness training it will enable students to be aware of the dangers from fire in the workplace. N2E can tailor courses to address the risks and needs of your organisation in complying with current legislation. Friendly and experienced instructors from N2E, will engage with your staff in a professional learning environment. They will utilise real life experiences and understanding to ensure professional, interesting and stimulating input, safeguarding your staff, premise and organisation against fire. This course includes all the material and content of our Fire Awareness Training, and has the added inclusion of a practical fire extinguisher session. You get the knowledge of fire safety in the workplace, plus practical guidance on how to use the fire extinguishers! All businesses are required to have means of fighting fire and generally fire extinguishers are the most common on site –they can be the quickest and most effective way of putting a fire out, if used correctly, by people who know how to use them safely. Correct use can contain the spread of fire, and potentially save lives, if used as soon as a fire has been discovered, so having your staff properly trained and prepared could be the difference between serious loss/damage and the continued running of your business. Protecting your staff, premises and business from the effects of fire.